Which of these players was drafted at a premium? 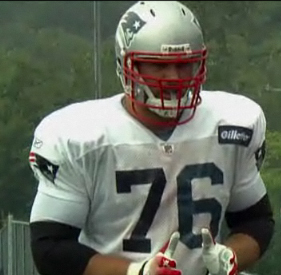 Sebastian Vollmer, drafted in the seond round in 2009. Second round choice by Philadelphia in 2001. In my mind, the answer is “both of them”. The Patriots aren’t the only team that practices the overdraft or the premium draft. If the Eagles really like someone, they tend to take them a round ahead of where he is commonly valued. Odd that teams that maintain plenty of draft picks practice this. Offhand, I can recall the Eagles doing this for Derrick Burgess (generally viewed as a fourth rounder). The Steelers have done this as well; they drafted Casey Hampton a full round above his common valuation. In the 2012 draft class, players who appear to be attracting premium attention (we’re a day before the draft, mind you) are Ryan Tannehill (late first by talent, thought to be going to Miami at #8), Stephon Gilmore (drafted #3 in a mock draft by Greg Cosell), Fletcher Cox (mid first talent, seen as high as #5 in respectable mocks), Kevin Zeitner (mid second round talent, often in mocks with Pittsburgh in the first round), Chandler Jones (appearing in the first in some mocks), and Mark Barron (some people claim he’s the #7 now, often ranked as a mid first rounder). If you feel you need the player, sometimes you have to just go out and get him. 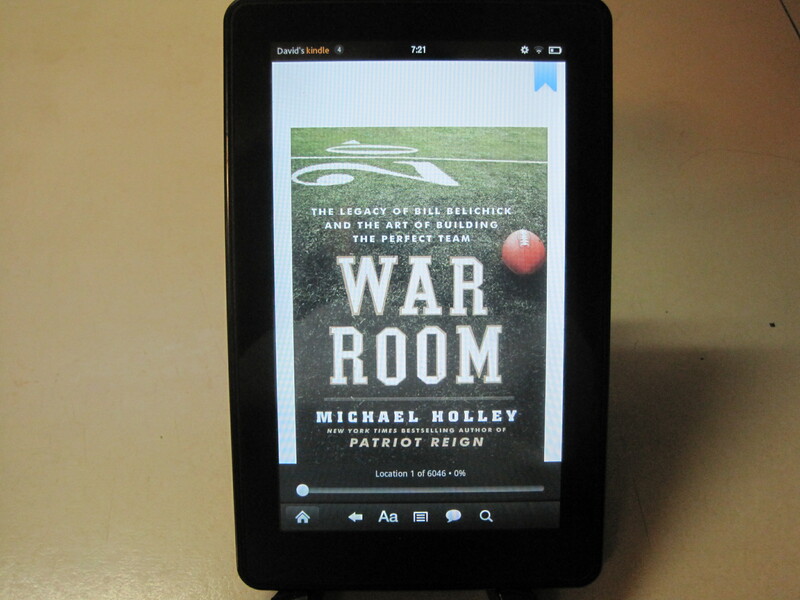 I picked up this book after Greg Cosell gave it a big thumbs up on Rob Rang and Doug Farrar‘s radio show for KJR in Seattle, curious what it might actually say about the NFL draft. One of the things that made the system different was that it absolutely required a scout to know his college area or region of coverage in addition to each member of the Patriots’ fifth-three man roster. All reports, without exception, were comparative, and were based on what a given prospect could do vs. any current Patriot playing his position. As a book, it initially has no sense of overarching storyline, content to wander about the narrative landscape the way a 60 year old grandfather would, telling one story in deep depth and then switching abruptly to another. It follows a variety of points of view. They all do not make much sense until you get to the end, where Michael actually starts talking more in depth about the draft in chapter 12. It finally becomes clear that he has three points of view, all intertwined, that of Belichick, that of Thomas Dimitroff, GM of the Atlanta Falcons, and that of Scott Pioli, GM of the Kansas City Chiefs. But to get there, to the three chapters of new material, he has you read about 11 chapters that I suspect were mostly all told in Patriot Reign. There are also a couple things Holley doesn’t seem to get, either from a Boston-centric viewpoint or they’re not obvious and nobody actually bothered to explain them to him, with the foremost example in my mind that Spygate (covered only briefly) exacerbated an existing anti-Boston sentiment arising from a belief that the Patriots were willing to push to the edge of the rules and beyond, if they could get away with it, which they could (see increase in illegal contact penalties, 2004, post Colts-Patriots). All that said, once you get to Chapter 12, there are three chapters of useful insider stuff on how three teams conduct their draft. The background info on Dimitroff and Pioli are good enough to be useful to fans of the Falcons and Chiefs. Just, the new stuff isn’t substantial enough to be a book on its own – more like a long extended article in the New Yorker or the Washington Post. But, book sales being what they are, the new stuff was tacked onto the old stuff and sold as an entirely new product. Up to you, whether you should read it. It can be interesting given the limitations of the material. 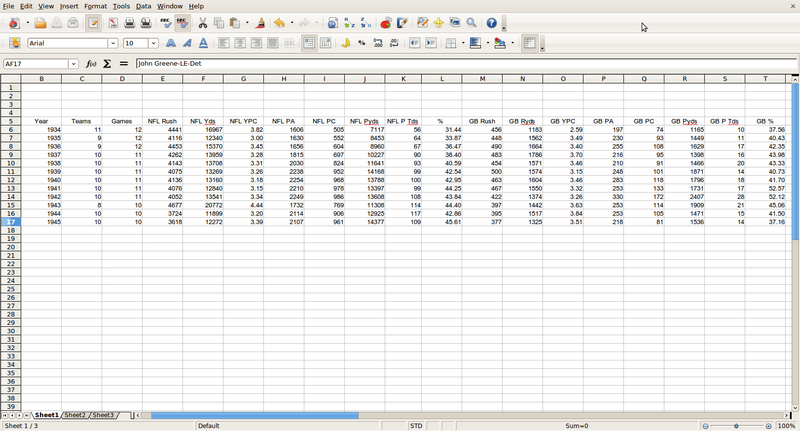 Scaled in the measure of a draft pick, this is day two material. Is the Miami 4-3 a 2-3, and just who is your nickel front daddy? 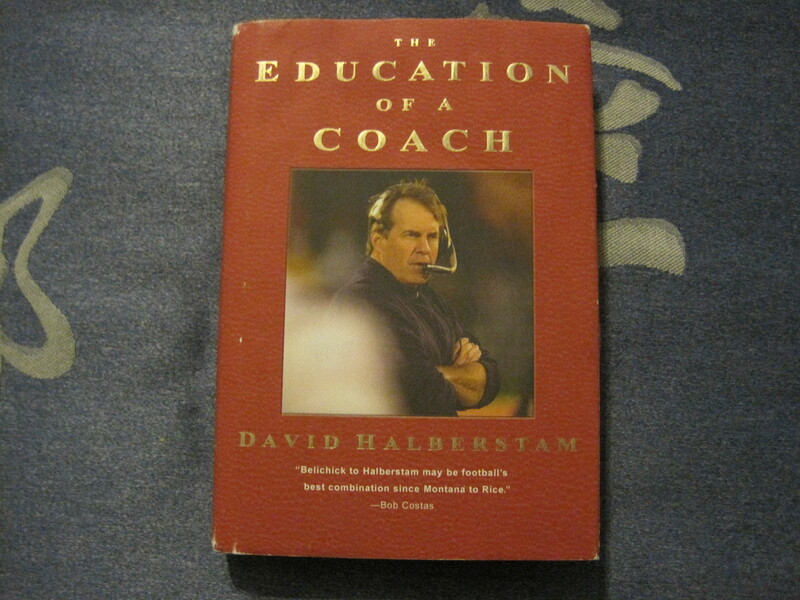 In the book “Education of a Coach“, by David Halberstam, a book about Bill Belichick, and a decent read, Halberstam goes into great detail about the base nickel front that Belichick used in the 1991 Super Bowl. And yes, isn’t this, the first offensive play of the Bowl, an argument that Belichick is your nickel front daddy? I say, who is your nickel front daddy? Halberstam says this defense was, in modern terms, a 2-3 dime. 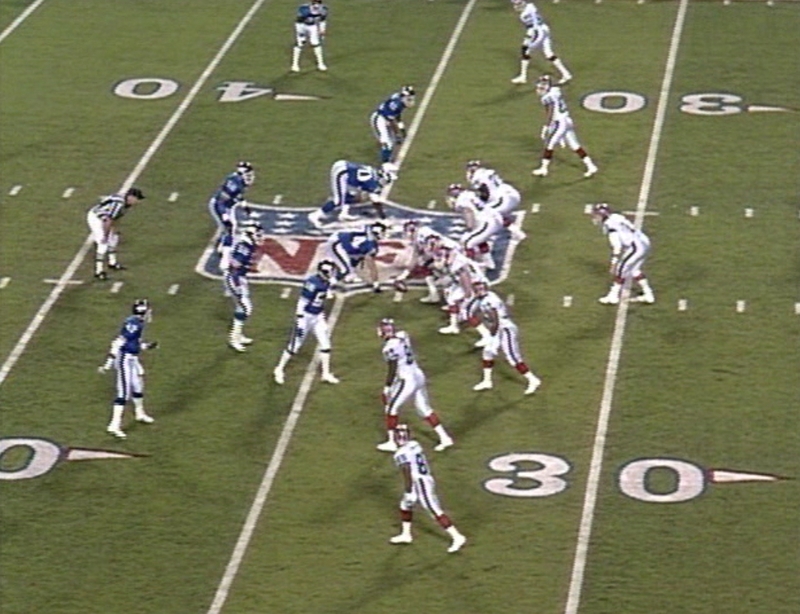 Of course, with Lawrence Taylor as the rush linebacker, it was a rather stout 2-3. This thread from Football Futures, I think, is one of the better reads on the Miami 4-3. Coach Hoover: Miami 4-3 versus the flexbone. Coach Huey: Miami 4-3 compared to the K State 4-3. Fifth Down Blog on the 4-3 (including the Miami). The whole guide summarized here. Linebackers in the Miami 4-3. Getting across how freakish Don Hutson was in his day is difficult to a typical modern football fan. They’ve been told since Day 1 that Jerry Rice is unquestionably the best receiver of all time, and so their brain cells turn off and they don’t question the notion. And yes, in at least one respect, Jerry was the best of all time, in the sense that no one had as long a productive career. The idea that someone could play at such a high level for 18 of his 20 years at a position that demands athletic excellence is the foundation of the respect that the man has gathered. However, in any discussion of the best of the best at WR, Don Hutson (see also here and here) has to be in the mix. Back when wide receivers were lucky to get 1 pass a game, he was catching 3 and 4. Back when scoring was difficult, he led the league in scoring 8 times. His YPC is decent but hardly extraordinary. 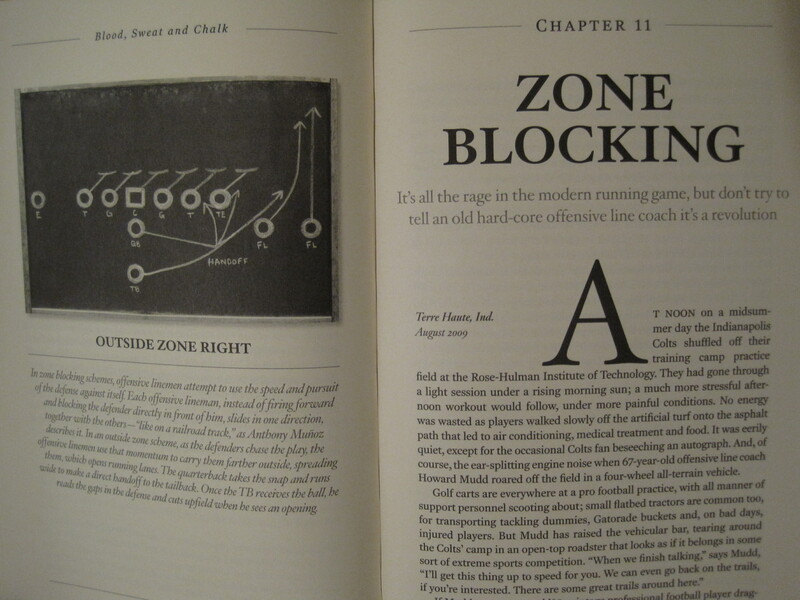 What Don Hutson was — is a ball catching freak, and a scoring freak. It’s not entirely noticeable in the stats of the day, compared to modern football, because modern football is a more pass oriented game. It has specialists, guys who play one way, instead of two ways, and in particular, someone who specializes in just throwing the ball. It has a more aerodynamic football (see here and here) than the one those guys used to toss (check out Bill Belichick talking about Sammy Baugh, roughly a contemporary of Hutson’s, in NFL Network’s top 100). Passing was just primitive: the league completion percentage was 33.9% the year Don Hutson entered the league. When he left, it had risen to about 45.6%. Because passing was primitive, the strategies of the day were not to pass until you reached the 40 yard line. Inside the 20, teams would run perhaps one play and then punt. But in those days, and by the standards of the times, Green Bay was a passing offense. They featured Johnny McNally, a gifted tailback and receiver who scored 11 touchdowns through the air in 1931. Those two did team up effectively in 1935, when the two were clearly the star receivers for the club. But McNally moved on after 1936 and Don stayed put. 1942 is an exceptional year, and the year in which Don put up his best numbers. To note, Green Bay passed 330 times that year, when most clubs were throwing about 220 times. To place Green Bay’s relative passing frequency and success into a modern context, transferring its ratiometric advantages into the year 1995 would create a fictional team that passed 51 times a game and completed 69.8% of its passes. Don would be almost half that passing offense (43% of the catches, 50% of the yards), and he would score almost every fourth time he touched the ball. The resulting numbers would be freakish. 1995 is a good point in comparison. That’s one of Jerry Rice’s best years. The run to pass ratio that year is about 0.79. 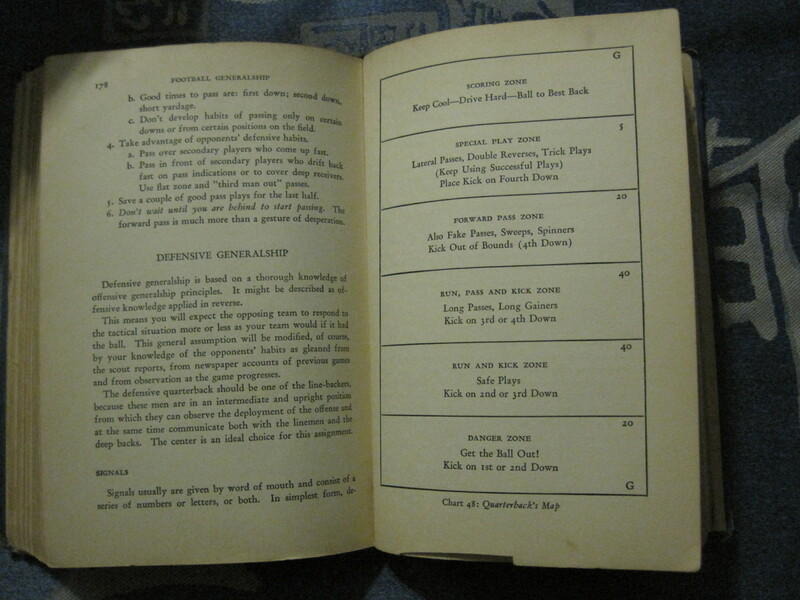 Green Bay of 1942 — a pretty wide open passing offense – was 1.29. 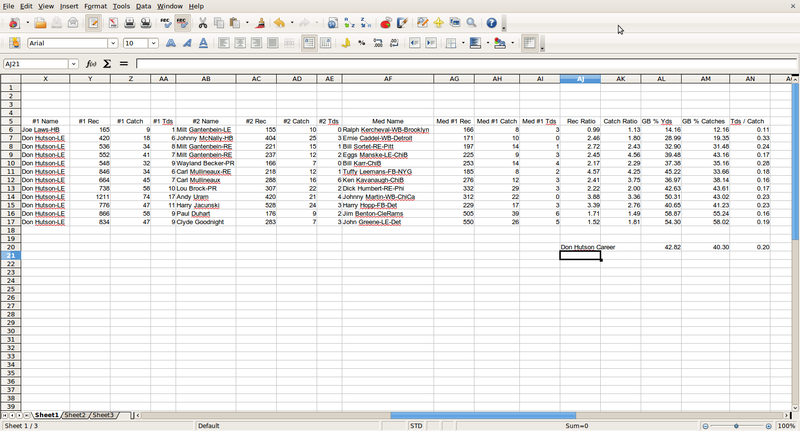 How could we go about embedding the stats of Don Hutson into the year 1995 in such a way that it makes sense? That will be done in a following post. It’s the 2011 division playoffs. 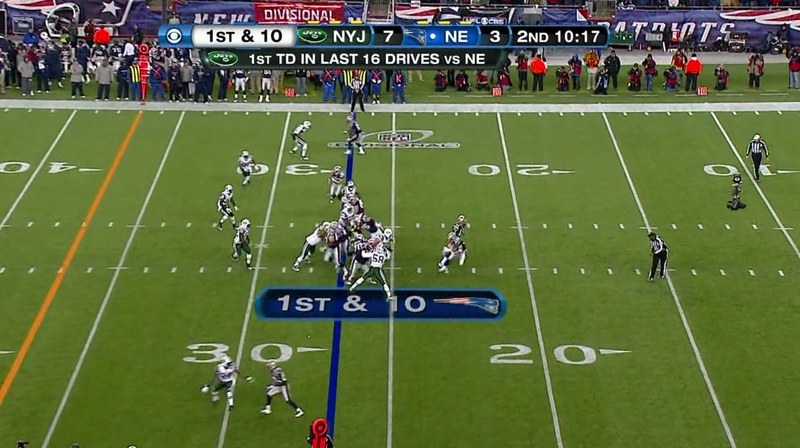 The Jets have just scored and the Patriots have the ball. 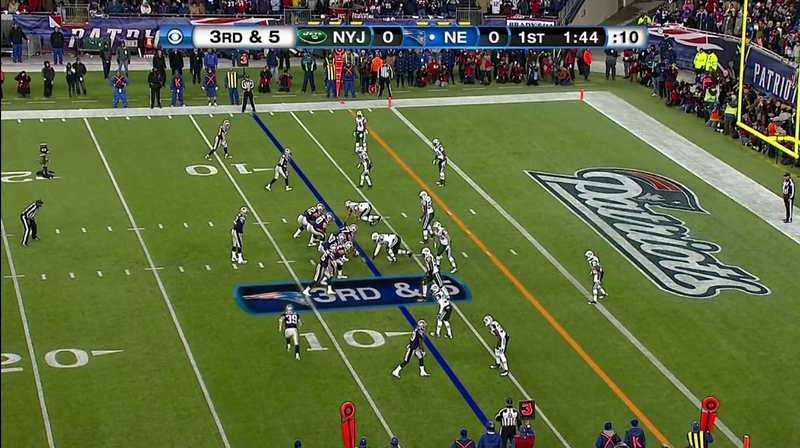 The Jets are lining up in a 3-3-5. The right defensive end is number 70, Mike DeVito, an undrafted free agent out of Maine. The right outside linebacker is Bryan Thomas, number 58, a 6 foot four inch 260 pounder from UAB who was once a first round draft choice. 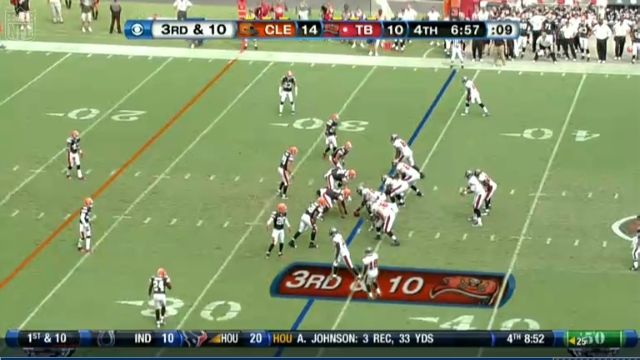 This is not a defense designed to stop the run. Hence the Patriots run. As the play develops, there are problems with both blocks. It isn’t soon before Bryan Thomas has the LT’s hips perpendicular to the line of scrimmage, and therefore the tackle has no control over Bryan. The guard has been beaten; Mike has taken an inside move and is about to shed the guard. Two players converge on the running back, who, before the collision, begins to guard himself against the impact. Want more? Check out the game highlights on Nfl.com. I’ve just begun to look at this game, and it’s not as rich in exotic fronts as some. There are plenty of orthodox 3 and 4 man fronts. 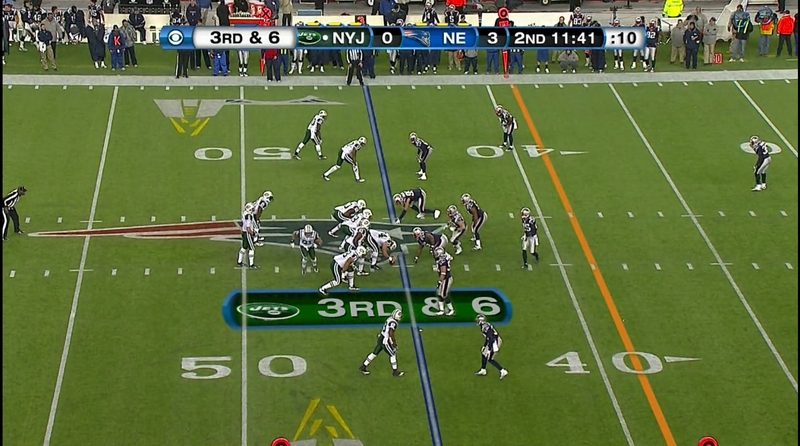 The Jets made plenty of use of the 4-2, but on occasions, both teams would use the two man, or nickel front. 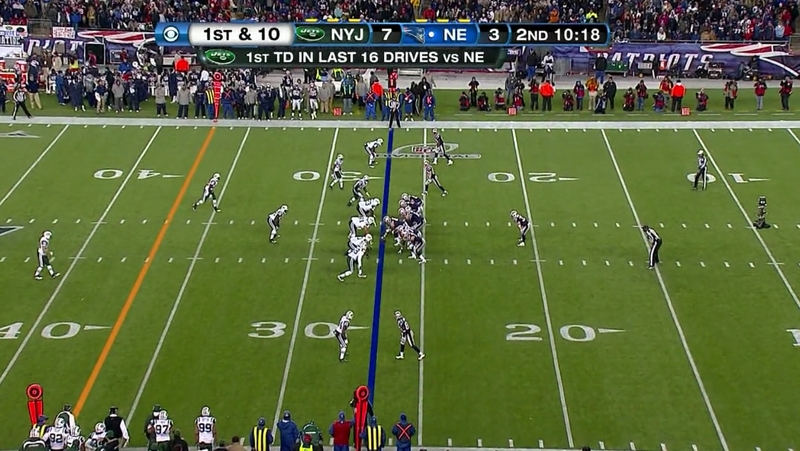 This image is of a 2-3 by the Jets. I don’t recall having seen a 2-3 before seeing this one (I’m sure it’s been used). The result of the play was a sack of Tom Brady. Even Bill Belichick, the defensive genius, the master, will use the two man front these days. Building teams from the inside out. Football – all starts up the middle. 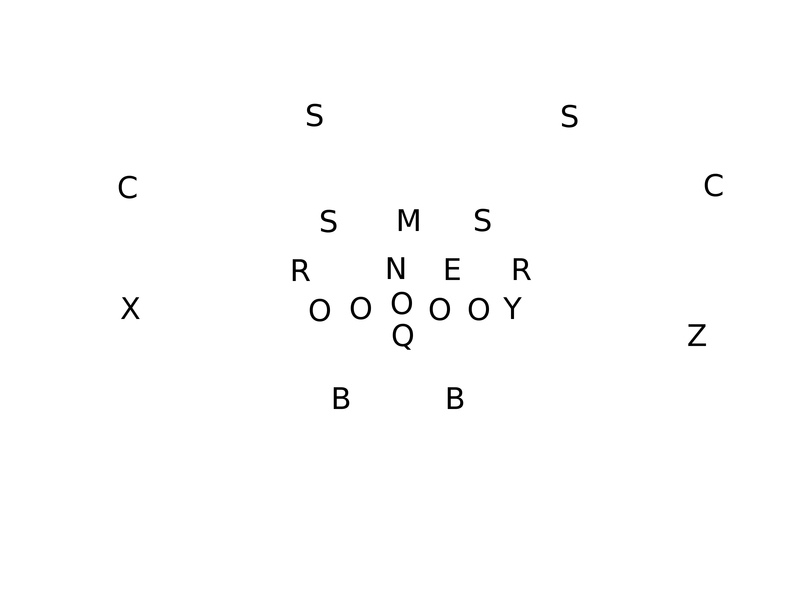 Is played from the inside-out (Off, Def, Special Teams). I’d argue that’s true when you put a team together too. You put it together from the inside out. You need the right kind of defensive tackles, or in 3-4 setups, nose tackles. Miami thought so much of their up and coming nose tackle Paul Soliai that they franchised him. When looking at the history of the Dallas Cowboys, Tom Landry always had a superb defensive tackle to anchor the defense, whether it was Bob Lilly or Randy White. The decline of the Cowboys defensively in the late 1990s can be tracked by the loss of decent tackles; they really had no answer for the loss of Chad Hennings. Dallas struggled until Bill Parcells acquired Jason Ferguson. 1980s Chicago had Dan Hampton. The New York Jets have a tackle I’m a huge fan of, Kris Jenkins. Pittsburgh? The Texas ex, Casey Hampton. The Green Bay Packers? B. J. Raji. Pittsburgh thought so much of Hampton they drafted him a full round above where the draft pundits placed him that year. You need your anchor in the middle, whether he be supernaturally quick and penetrating (Lilly) or the rock of Gibralter (Hampton). Can you name the defensive tackles of the Atlanta Falcons? Their offense seems good enough to me to win it all. I don’t get the same warm fuzzies from the Atlanta defense. Atlanta head coach Mike Smith has a defensive pedigree and I wonder if he’s just getting it all accomplished with coaching mirrors. Some defensive studs would make me feel that they have the foundation to be more than a playoff Cinderella. Question is, while poised on the last third of the first round, how do they dig out, say, the next Ed Reed or even the next Patrick Kerney.